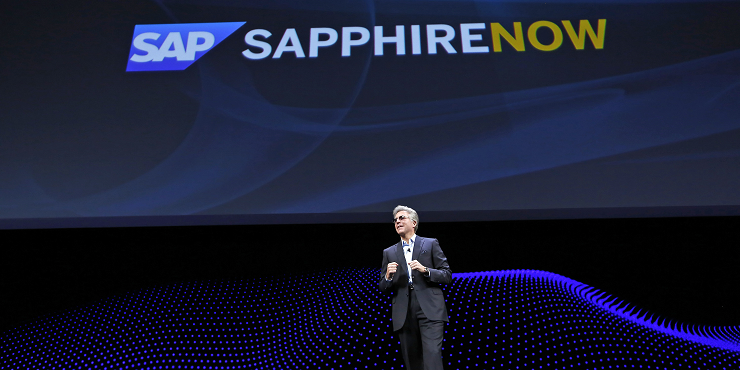 SAP Labs Latin America was featured in the SAPPHIRE NOW! In this year’s conference our Labs LA was featured like never before, with some examples shared from Hasso Plattner and Mala Anand. 900 customers from Latin America participated in the event, the highest participation from Latinos. The attendees had the chance to listen to references & success cases created with our Labs touch. Our Chairman’s keynote, showed to the more than 30 thousand people the Leonardo Centers, including Labs Latin America. Four SAP Leonardo success cases were shared. 2 out of 4 from LAC customers – Vale & Boticário Group, developed by our Lab´s colleagues. The Data Management Suite / Data Hub was heavily discussed, being the center piece of the intelligent enterprise. Our location is instrumental in driving this success. We cannot forget to mention that our close friends from Stara joined the stage again this year. This time with Nicole Trennepohl, Marketing VP, presenting to a huge audience their co-innovation case with SAP. Michael Kleinemeier, one of our board members, mentioned in his press release “Automatic Translation”, an idea born in our Labs and implemented in collaboration with GS, PS, SAP Translation Hub, SAP Language Services and Customer Success Hub. Hasso Plattner, SAP’s co-founder delivered a keynote where he mentioned and used as an example one project that was developed by our colleagues from Labs Latin America. The project was L2A, Law to Action, which Hasso said that the project has a very interesting name. He presented L2A affirming that SAP Globalization Services team that delivers over 1000 regulatory changes every year, and the application pro-actively scans and analyze thousands of decrees in the world, determining the relevance of them and making recommendations upon it. He closed his comments with a very positive feedback, saying that this project show that “SAP in a very early stage know what is coming and how we have to react”. Our Labs was also in the words from Mala Anand, SAP Leonardo data & insights president. She delivered a keynote together with Nicolas Simone, CIO of Boticário Group, where they discussed how to bring an Intelligent Enterprise to Life with SAP Leonardo. The keynote session also positioned how the world’s largest cosmetics franchise is transforming their business using the innovative technologies and industry excellence found in SAP Leonardo, which started with our Labs Smart Shelf Solution. Nicolas expressed his gratitude to SAP Labs Latin America on stage, highlighting our contribution in driving and enabling customers’ digital transformation, with special mention to Innoweeks. Innoweeks is globally known now! Mala Anand & other Executives from LAC confirmed their visit to Labs for the Leonardo Live event in August and several customers showed interest and are already scheduling visits to our Labs, such as Comfama from Colombia, Xcaret and Liverpool from Mexico. It is clear how well established we are in Latin America, now it’s time to spread our wings to be “the Innovation Hub for Americas”!